My name is Mary Jo Jean-Francois and I am the Area of Focus Manager for Basic Education & Literacy here at Rotary. A relatively new team, we are very excited to work with Rotarians throughout the world. In November, I had the opportunity to travel to South Africa and evaluate two global grant projects from the Future Vision Pilot and report back to the Future Vision Committee on these initiatives. Both projects focused on early childhood education with strong teacher training components. Although the long-term results of these projects are still to be understood, the quality of the teachers’ instruction and the interest they receive from their students already speak volumes to the value of such projects and the commitment of the participating Rotarians. 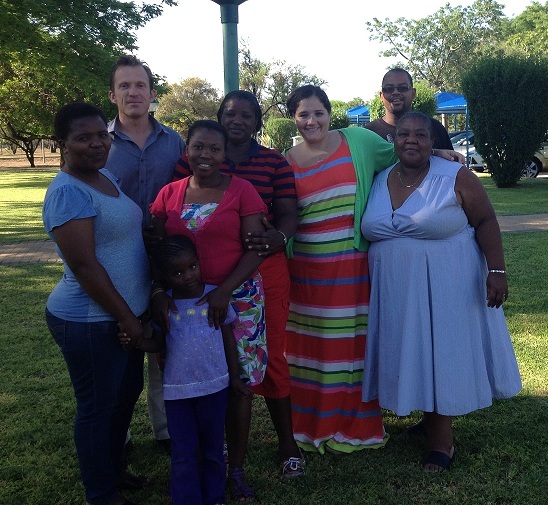 The second project I visited was based in and around Pretoria. This project implemented a methodology called “Souns,” which has both material and strong teacher training components. 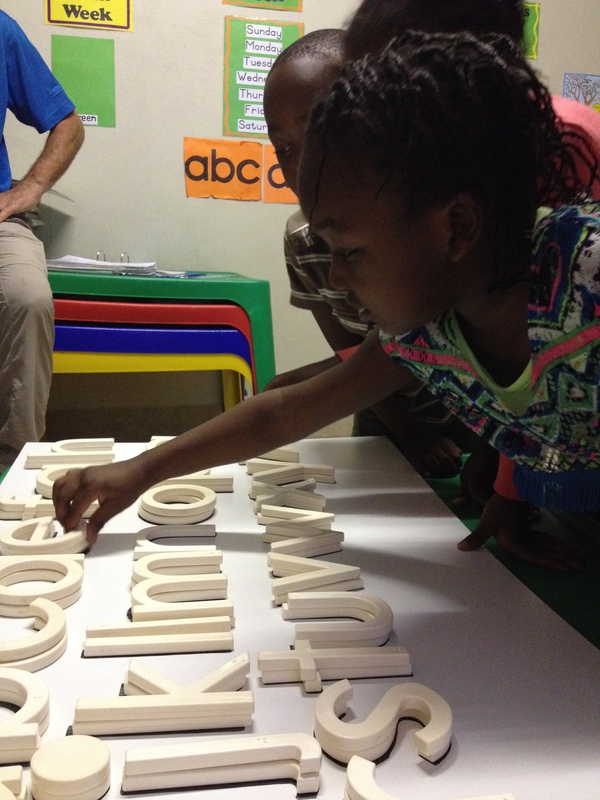 Souns provides early childhood educators and parents with tools to help children build early literacy skills. 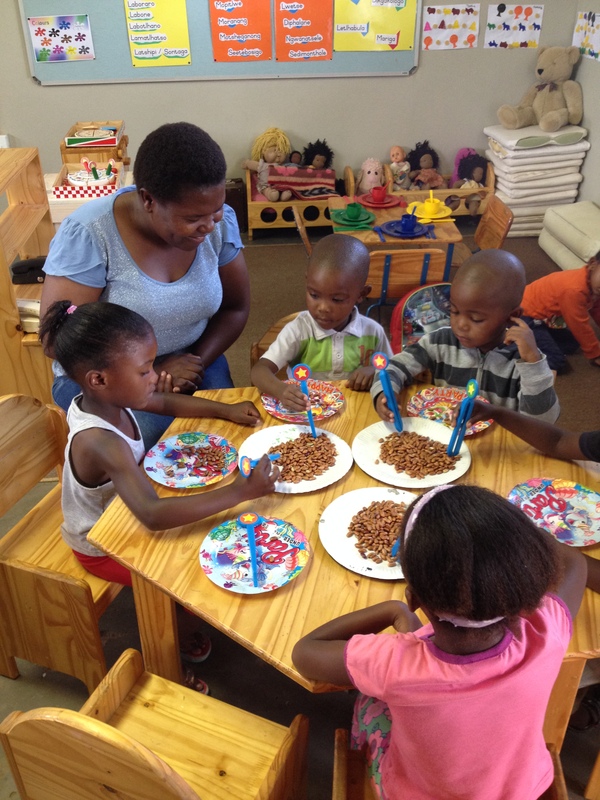 Instead of the traditional focus on the names of letters, Souns works with children to identify the sounds of letters and eventually build words by using sounds. Teachers receive a bagged set containing 52 non-toxic plastic letters to use in their classrooms and are encouraged to spend just a few minutes a day working with students on Souns, either in small groups or individually. I was incredibly impressed with the program and felt the contagious energy of the students when they saw the bag of sounds brought out by their teachers. As a result of this project, students were building words at young ages and parents reported better communication with teachers. An added bonus was seeing the Rotarians from the Pretoria East Rotary Club in the classroom with the students. My 16 days in South Africa were a great reminder of the phenomenal work Rotarians are doing in the field. Seeing children excited to be at school and loving to learn is undoubtedly the best part of my job. Knowing that committed Rotarians are behind these initiatives only makes my work better. Reblogged this on Souns Talk Weblog. Thanks for reblogging this, Sounstalk! Thanks very much for your comment, we’re always looking for these types of stories! Would you be interested in contributing a blog post in more detail about how Rotary and Peace Corps are working together in South Africa? I’d love to talk more whenever you have time: rotary.service@rotary.org. We (Branchburg Rotary) are planning to have a total literacy campaign started in Nepal. Any new ideas or suggestions will be greatly appreciated. Hello! You can find examples of Rotary projects on Rotary Showcase (https://map.rotary.org/en/project/pages/project_showcase.aspx). Also, we have examples of basic education and literacy projects on this blog posted here: https://rotaryserviceblog.org/category/rotarys-areas-of-focus/basic-education-literacy. Should you have any questions, please write to us at rotary.service@rotary.org!